Luciano:We would wake up early Saturday mornings. We would make sure to have our devotion before even going to school. Sometimes, we would have devotion and he (my father) would read a Psalm from the bible and we would all sing some choruses. These kinds of vibes brought the spiritual values that I have nurtured over the years. Spiritual life has brought me to where I can be a light and an inspiration. MZM:Talking about that, Im glad you brought up that word ( inspiration ). Over two decades of music, you have numerous albums, which all have definitely proven your longevity and why youre here today. Why are you still here today? What is your inspiration? 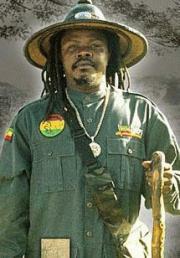 Luciano:My inspiration is the almighty still, you know. Many times, I do a lot of work with record companies and it breaks my heart to see the return and result, how they cheat our work. Big companies try to cheat and all those things. They dont give you the true support as a cultural artist. They dont give you the real push. MZM:Why is that? Why is it so hard? Luciano:It appears as if they are the same people as in the day of old. The bible says there is nothing new under the sun. These same people that, without Jah in the early part of their life, are the same ones that is without Jah right now. There is nothing new under the sun. 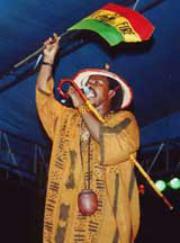 The same who want to crucify me as Rasta is the same that crucified Jesus Christ. MZM:Is it possible for someone that buys, enjoys, and believes in Dancehall music to actually equally love culture reggae roots music, or is it hypocritical? Luciano: Alright, Dancehall had live bands, people playing bomba scapes and guitars, and a little mouth horn. It was the first original dancehall. Its now that you see that the men of generation have gone astray; that it looks like Dancehall broke away. Dancehall was never about demoralizing to the female or bragging and boasting of what you earned or what money or wealth you had. No, its just because this generation of men have gone astray that the fruits they bear are definitely the fruits of Babylon, and Sodom and Gomorrah. This is nothing new under the sun. The same people when Moses turned his back to go and pray onto God, they built for themselves a golden calf, stripped themselves naked, and danced up and whined up before false Gods. This is the same thing that they are doing now. Daughters of Zion are stripping themselves naked before false Gods. They do this for money. If you look on the money, American money says, In God We Trust, but these people dont really give God the glory. Its really in the dollar they trust. They will do everything again, like in the olden days, just for the dollar. This is what is happening these people and these youngsters, they get rich overnight and they boast about their wealth and they flaunt and brag about it. MZM: Is this redemption for them? Luciano:Its not really redemption, its a revelation for all of us. These youngsters have gone astray and we, some of the elders, have supported it. Some of the big companies supported it and some of the big TV shows play more derogative music than they do culture music. God knows its the truth Im talking. MZM:Now let me ask you this question. Where have you seen that your music is respected more? Here in the United States or outside of the country, like the UK and the other countries? Luciano:If I should really try to weigh it, Europe tends to embrace the music more. Theres no doubt about it. I have a lot of fans here in America and I get proper support too. I still feel satisfied. I dont ask for too much and sometimes, if it there is just 100 people, I will sing to the best of my ability. Its not the crowd, its really the love. I guess in places like California, we get a nice response from the people. There is more cleavage of people, more who gravitate to cultural music in Europe. That is where my first album reached an academia. In the UK as a matter of fact, my first album, Shake It up Tonight, was in England. I did Shake It up Tonight on Big Ship label. Enough respect to Freddy McGregor. This song Shake It up Tonight went number one for 8 weeks in the UK. Long before Jamaica knew about me. After a time they were saying Luciano is an English singer. At the time I didnt even have papers to go to England. MZM:I always wanted to ask you this question. Watching you right now, your image your style your hair, the clothes your wear, your hat, your cane, what does it all symbolize? Is it biblical and you can find in the bible? Luciano:Well, right now, I have grown and what you see here is a sign of growth. When I started out, I never used to sing in shows, I used to be barefoot most of the time. One of the times I was dancing and I picked up some iron filling while they were fixing up the stage. I was theyre dancing barefoot and picked up some metal, terrible, terrible. I had to stop while the music was boiling. I had to stop and pick out metal and them thing, while they swept off the stage. So, we go along and learn. People will set things for you, nail head and all them thing. So I just got a proper pair of boots. MZM:And what about your hair? Luciano:My hair is out of the growth of my consciousness. I realized when I read the bible, Numbers 6, it tell me that when you make your sacrifice and a vow onto the almighty to separate your self from others, you put no razor on your head. Numbers 6 tell you about it, and it is a sign. When you read about Samson and Delihla, Samson told Delihla of his secret and his hair was cut off, he got very weak and his eyes were plucked out and he lost his vision. While, he was there his hair was growing back and he gathered strength and they didnt know, so that was a sign. My rod now, represents the word of God. The bible says, Thy rod and thy staff they comfort me. This is why I say this rod represents the word and the law. Thou shall dwell in the house of the Lord all the days of your life. MZM: Well Mr. Luciano, I want to thank you for being here with Muzik Media and giving us this time. I want to thank you personally and Muzik Media thanks you. Luciano:I want to thank you also Empress Twiggy for taking the time out to give me a chance to express my views and certain matters. So keep up the great work JAH Bless, One Love. MZM: Now before you leave today, tell us, are there any new albums? What are you working on and with whom?